Alexis Hoag joined the NAACP Legal Defense and Educational Fund, Inc. (LDF) in October 2017. 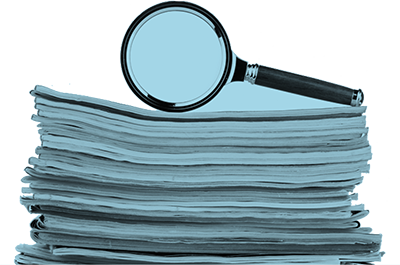 She represents clients in both criminal and civil cases, focusing primarily on capital post-conviction proceedings. In all matters, Alexis strives to bear witness and shepherd her client’s stories, utilizing litigation, public education, and policy reform to advance her client’s interests and promote a more racially inclusive society. Alexis represents a federally death sentenced individual pursuing habeas corpus relief, and is part of the litigation team in Davis, et al. v. City of New York and New York City Housing Authority, a federal class action lawsuit that is part of the court-ordered monitoring of the New York City Police Department (NYPD) and seeks systemic reform of the NYPD’s discriminatory trespass enforcement practices against Black and Latino public housing residents and guests. She also supervises the Prosecutor Reform Project within LDF’s Thurgood Marshall Institute and LDF’s parole advocacy in Mississippi on behalf of children and young people serving life sentences and life without the opportunity for parole. Alexis has authored several amicus curie briefs before the U.S. Supreme Court and state supreme courts on behalf of death sentenced individuals challenging their convictions and sentences due to unlawful racial discrimination. She regularly conducts death penalty trainings on racial discrimination in jury selection, developing race-based mitigation, cultural competency in the defense team, and racism’s impact on mental health. 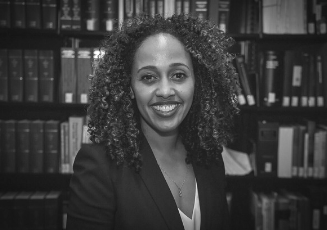 Alexis is a member of the capital punishment committee in the NYC Bar Association and serves on the board of the Law Alumni of Color Association at NYU School of Law. Prior to LDF, Alexis served eight years as an Assistant Federal Public Defender in the Capital Habeas Unit of the Federal Public Defender for the Middle District of Tennessee in Nashville, where she represented death sentenced individuals in their federal habeas and related state court proceedings. While there she developed a study to analyze the extent that race played in the selection of jurors in state capital trials. She clerked for The Honorable John T. Nixon of the United State District Court for the Middle District of Tennessee in Nashville. Alexis graduated from NYU School of Law, where she was a Derrick Bell Public Interest Scholar and an editor on the Review of Law and Social Change. At graduation, Alexis was awarded the Dean John Sexton Prize for outstanding service to the Law School community. A native of Southern California, Alexis graduated with distinction from Yale College with a B.A. in American Studies. She is a member of the New York and Tennessee state bars. Alexis was awarded the 2019 Woman of Distinction by the Women of Color Collective at NYU School of Law.